It’s been a banner year for nostalgia, especially as it relates to gaming. From the NES Classic Edition, Modern Warfare Remastered and Sonic Mania to the discovery of an unreleased version of Rayman for the Super Nintendo and a Metallica driving game, 2016 will be remembered fondly among retro gaming fans. The nostalgia express is showing no signs of slowing down, either. With roughly a week left in the year, yet another fond memory has pulled into the station courtesy of Atari. 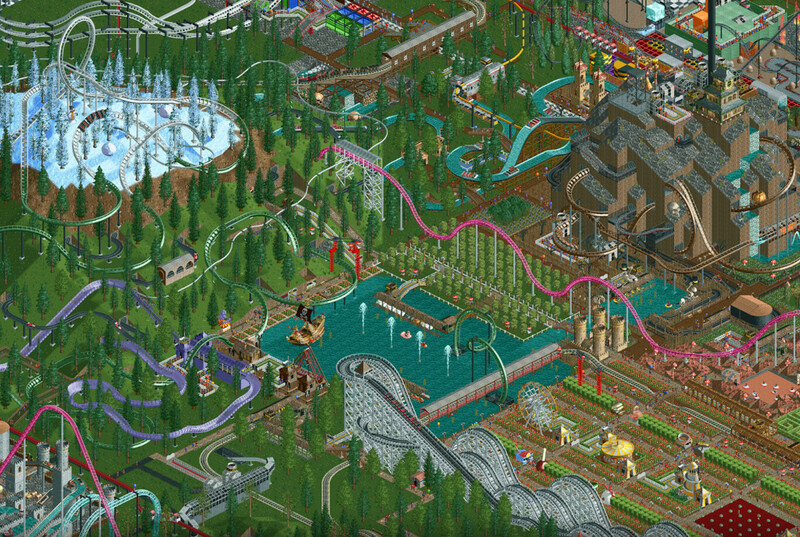 The legendary gaming company has launched RollerCoaster Tycoon Classic for Android and iOS devices. Priced at $5.99 up front (no microtransactions), the game is said to combine the best features from RollerCoaster Tycoon and RollerCoaster Tycoon 2 which are arguably the top games in the series. Scottish video game developer Chris Sawyer, designer and programmer of the RollerCoaster Tycoon franchise, said that in developing the original PC games years ago, he got to see how much excitement and entertainment they brought players all over the world. Sawyer added that it was his long term ambition to bring the classic game to modern touchscreen devices as its visual style and tactile nature are so well suited to smartphones and tablets. Together with Origin8 Technologies, Sawyer said they were able to modernize the classic gameplay while preserving the unique graphical style of the original games. As Capcom seems poised to learn the hard way, porting a classic series to mobile devices with touch controls isn’t all that easy. So far, however, RollerCoaster Tycoon Classic appears to be winning over gamers with favorable reviews on both platforms.